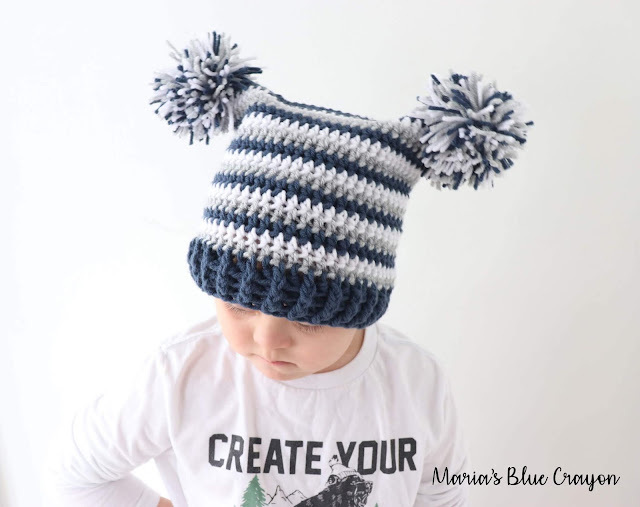 Scroll down for the free crochet pattern for the double pom pom crochet hat for baby, kids, and adults! 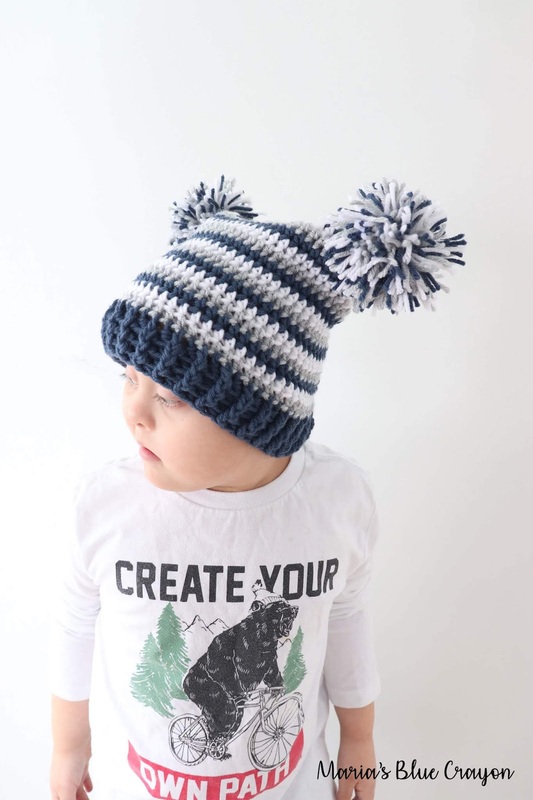 I have to say, this double pom pom hat may be one of the easiest hats you will ever make! You don’t have to worry about shaping what so ever. It’s basically a rectangular tube and pom poms! Super cute! One thing I love about this super easy double pom pom crochet hat is that you can play around with the colors and make it so much fun for kids to wear! I went with cool muted tones for Trevor and I love how it came out! For this crochet pom pom hat, I think the more colors the merrier! Another awesome thing about that is, you can use up a lot of your leftover worsted weight yarns! When making this hat, I only used leftover skeins and had plenty of yarn for it! Also, I think it’s important to mention I made this hat in one sitting! Very quick AND easy. 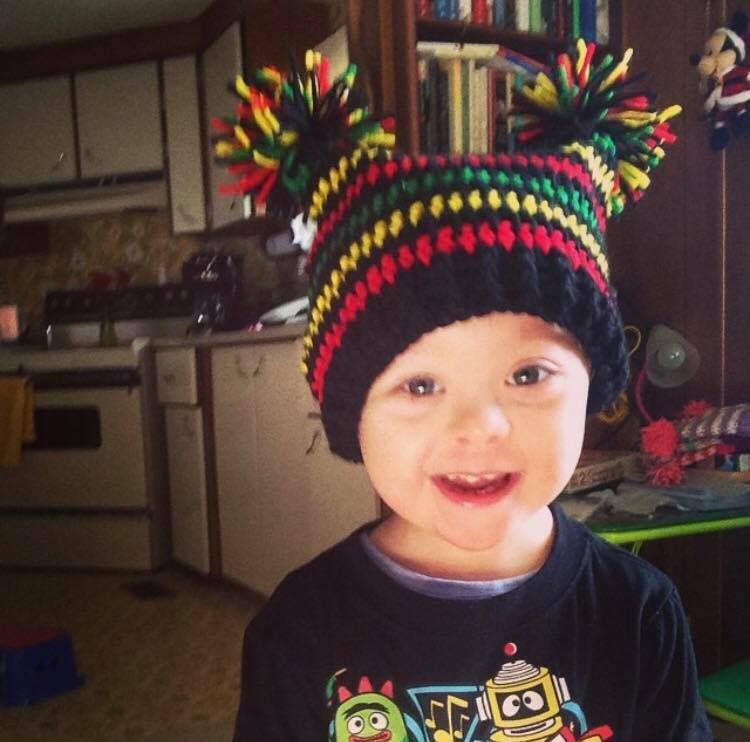 The best part about this crochet hat? The pom poms! I think the pom poms are what makes this crochet hat so much fun! I incorporated all the colors I used for the hat and I didn’t use a pom pom maker, I only used my hands to make the pom poms! They aren’t perfectly lush and round but honestly, I think that’s what makes them so cute and spunky. I made these hats years ago when I use to make and sell my crochet items. I mainly targeted it for younger ages, but I think they are so fun to make for the whole family! So for this pattern, I have written up all the sizes newborn through adult so no one will get left out! This is toddler Trevor in the one I made for him many years ago. Wasn’t he a cutie?! (Of course, he still is now!) And do you see what I mean about playing around with the colors? There are just so many possibilities for this double pom pom crochet hat. 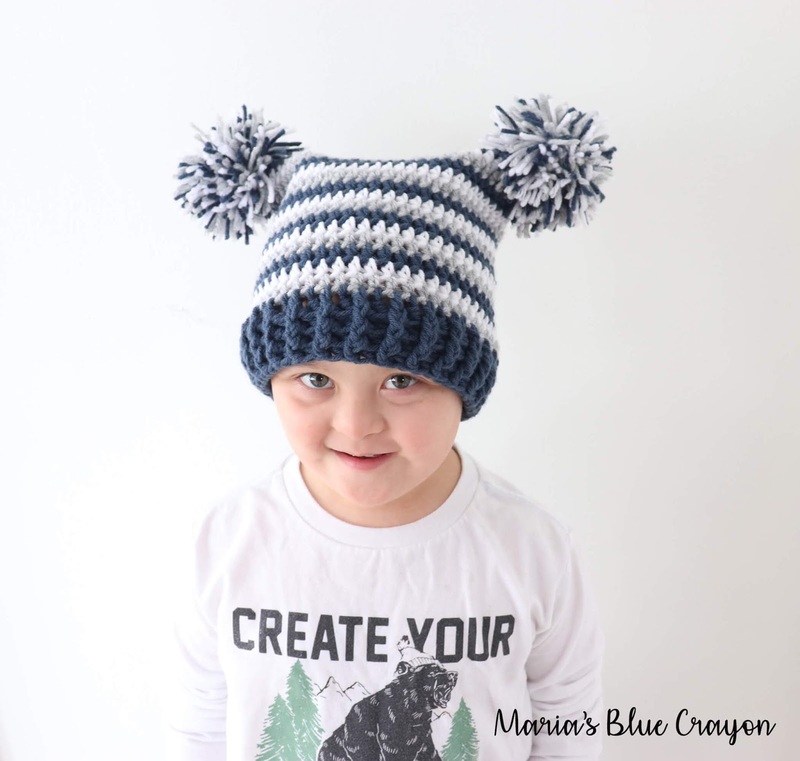 I hope you enjoy playing around with the colors for these adorable double pom pom crochet hats! Please be sure to share with me your creations on my facebook group Maria’s Yarn Friends. I would love to see ’em! Purchase the ad-free PDF or save it to Ravelry here. Thank you so much for supporting my work! I wouldn’t be able to stay home and homeschool my munchkin otherwise! PIN it to your Pinterest Boards for safe keeping! Sharing my patterns in any way really helps my blog flourish – thank you so much! Hat will be made in the round by crocheting a tube from the top down. The top will then be sewn up and pom poms will be attached to either side of the hat. In the hat pictured, the yarn color was changed after each round. 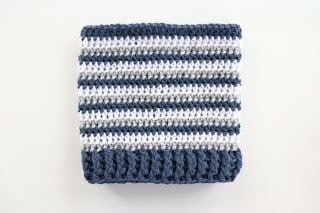 You may choose to make a solid color hat or wider stripes by changing colors less often after each round. Beginning chains do not count as a stitch unless otherwise stated in the pattern. *I tend to crochet loosely. Be sure to check your gauge so your hat comes out the size you want. Fasten off. Continue on to assembly instructions below. Fasten off. Continue on to assembly instructions. Once the crochet part is finished, you will need to sew up the top of the hat. The front and back post double crochets will act as a brim which will be the bottom of the hat. Sew up the top of the hat by first laying flat (I like to keep the seam at the back of the hat in the middle). 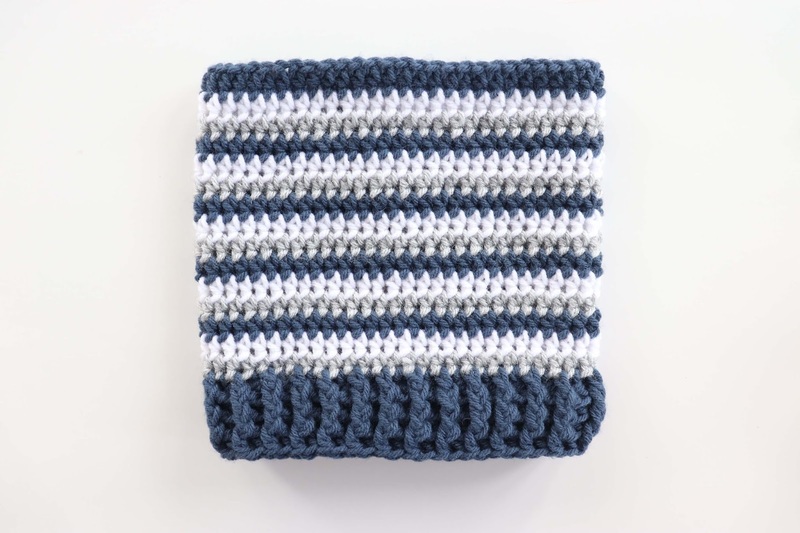 Hold both sides together and with a tapestry needle and yarn, whip stitch along the top or using a crochet hook, slip stitch across the top. Weave in ends. 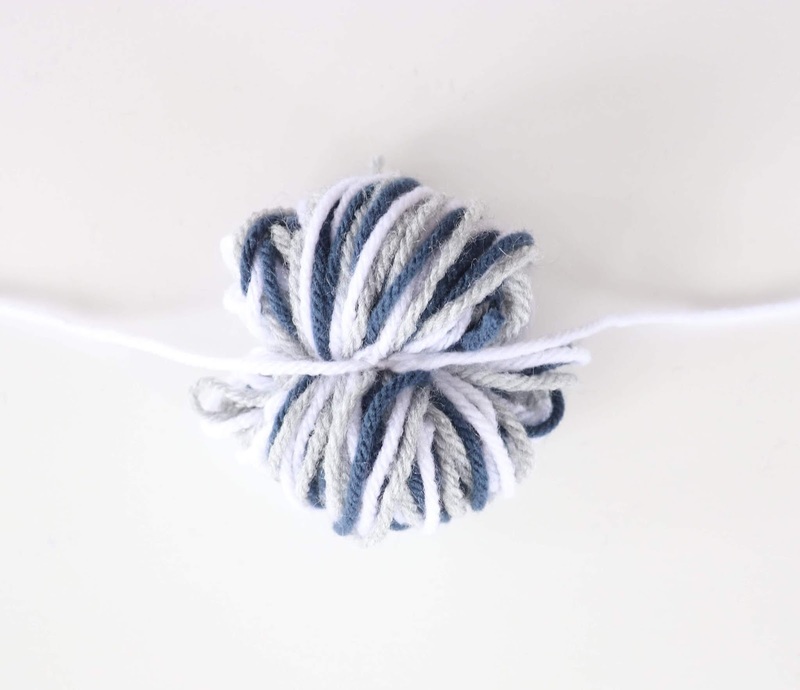 To make pom poms, hold 3 strands of yarn together and wrap over four fingers about 40 times. Take off fingers and carefully place on a flat surface. Cut ~10” of yarn and tie around the center. Cut the loops on the top and bottom. Trim any long pieces to shape the pom pom. You may use a pom pom maker as well to do this. Attach pom poms to both top corners of the hat. Weave in ends.